Home /Knowledge Base /Getting Started Guide /Who orders the credit reports? Home /Knowledge Base /Must Read /Who orders the credit reports? Home /Knowledge Base /Client Management /Who orders the credit reports? Home /Knowledge Base /General Credit Repair Business Questions /Who orders the credit reports? Home /Knowledge Base /FAQ /Who orders the credit reports? The first step with each new client is to obtain fresh new reports from all 3 bureaus and the question we’re often asked is: Who orders the reports? Answer: When a client orders their own reports, they don’t suffer a hit on their score! Most companies have the client sign up for Privacy Guard or one of the other providers and then they have their client share the login details and security word. Credit Repair Cloud will import online credit reports from these 6 providers. These services each have a $1 trial with instant access to reports and scores from all 3 bureaus. Credit monitoring is an important part of the credit repair process. It’s the only way to see changes to the updated reports and scores. 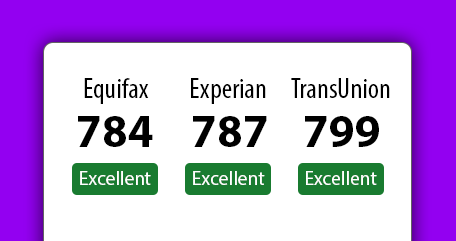 So please encourage your clients to keep heir credit monitoring accounts open during credit repair. It’s a necessary expense. Just remember that your client must be the one who signs up. The report providers DO NOT want you ordering reports for your clients. They don’t allow that and they do monitor IP addresses. There are videos below that show the process. But if you’re just starting out, be sure to schedule a free 1-on-1 session so we can help you! Should my client continue with the credit monitoring? If they are able to, monitoring is always best. Credit monitoring is an awesome tool during credit repair to monitor the reports and scores over time. If they don’t want to keep the monitoring, they can certainly cancel if before the end of their free trial. Can Credit Repair Cloud import from other report providers or from a PDF? No, this is not possible. That’s why you’ll want your client to signup for an “online” report from one of these 6 providers. However, if you have a client has reports from some other service, or a PDF report (and they don’t want to spend $1 for online reports) you can also add the items manually. Click here to see how that can work. Not choosing “Show Frame Source” when needed. What if your client has Credit Reports from another Provider or a PDF? *Please remember that we are not affiliated with these providers of credit reports. We are only providing this information to be helpful to you. Your client is ordering the reports. We are not a part of that scenario. When you print and send your Round 1 letters from the Dispute Wizard, be sure to include copies of the client’s photo ID and utility bill. Just like that, you’ve now done the main first work for your client and set up a revenue stream from them! Hopefully this was helpful to understand how to help your client to order their credit reports. Thanks for reading!